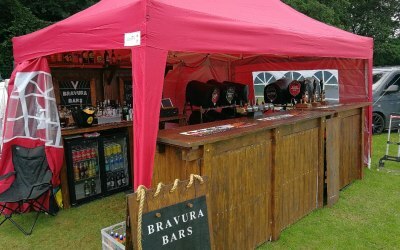 Bravura Bars provide a quality pub or cocktail bar experience where ever you want it. 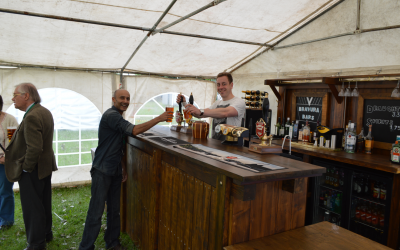 We bring to you a quality bar service where ever you want it. 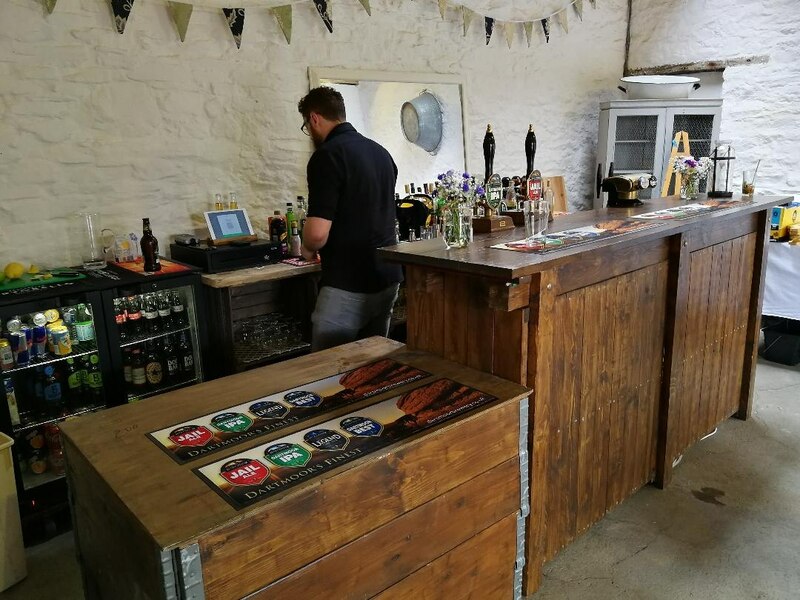 There should be no compromise in service from your favourite local pub. 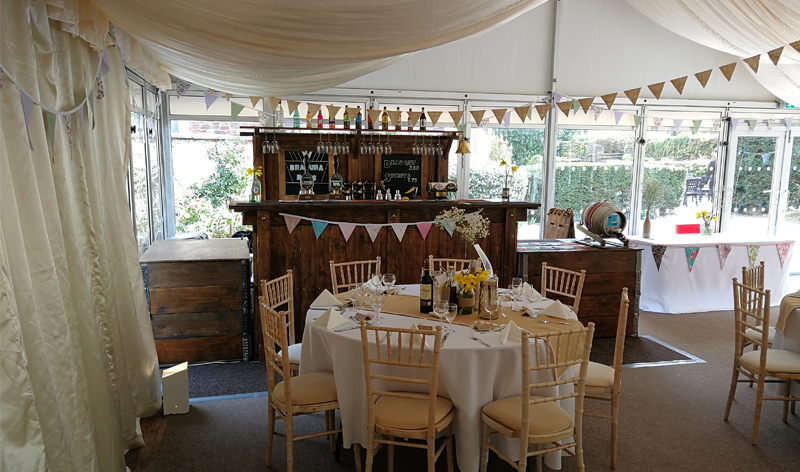 To achieve this we work incredibly hard to eliminate the compromises that are often made with mobile bars. That’s freedom without comprise! 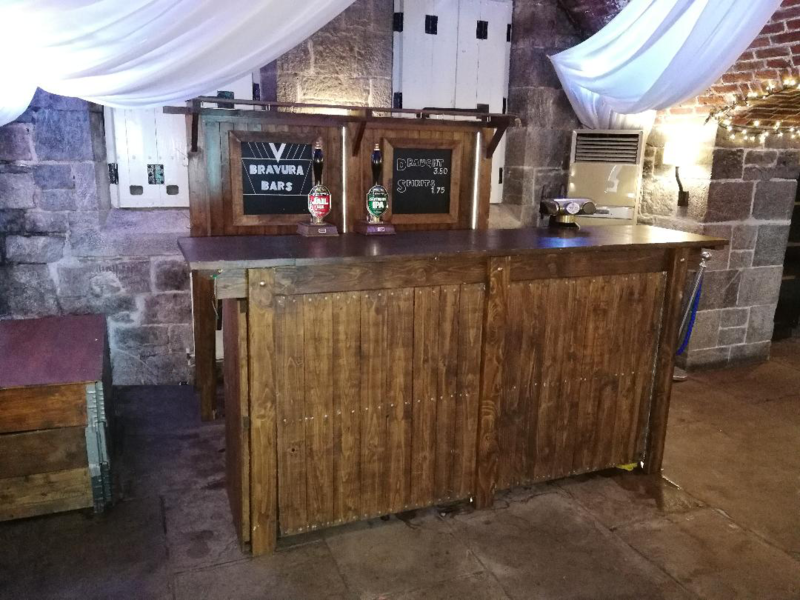 Bravura Bars brings to you a traditional pub style experience, wherever you want it! Bravura Bars has a strong orientation to traditional charm and value. This is echoed by our insistence to use real materials. 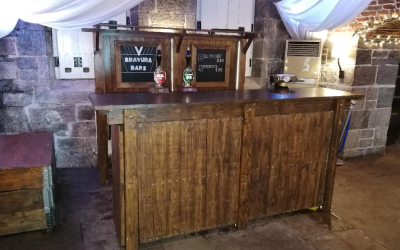 Our main bar unit is made from 100% reclaimed timber predominantly from pallet wood. 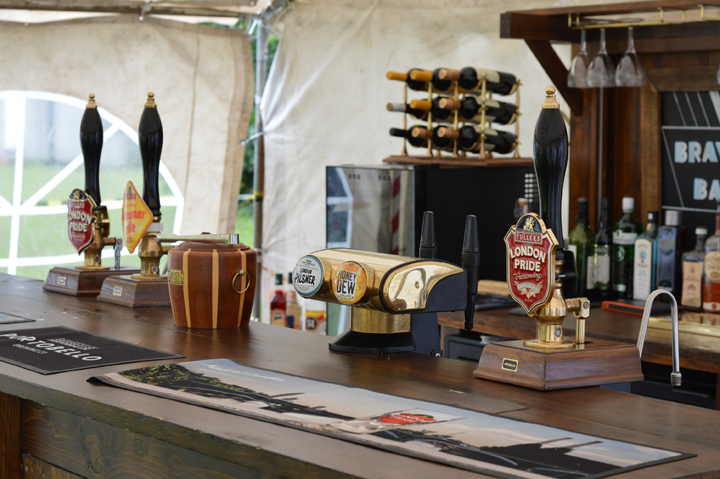 Our bars units are flat pack and built each time to suit the location. This means there are few location that are out our capability. 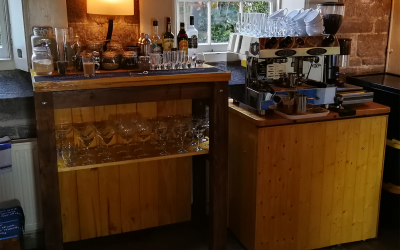 The design of the bar units is so that each part is easily replaceable and therefore adaptable to your requirements whether aesthetic or environmental factors. 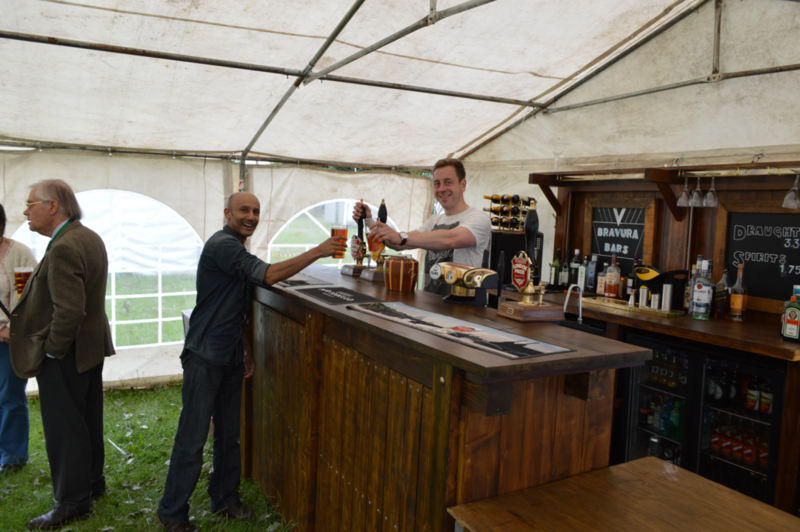 We provide bar services for all types of events. 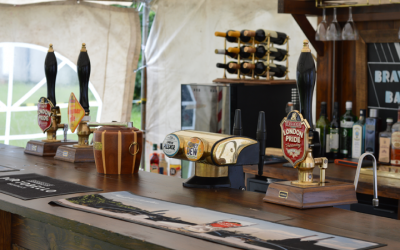 We specialise in a traditional pub style bar service. 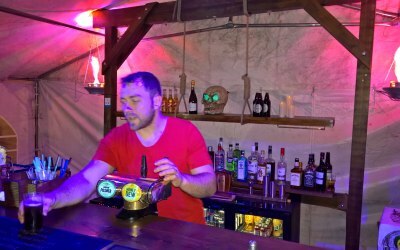 Excellent bar and staff! Value for money and would use again. Highly recommended! Good service from behind the bar, a little short staffed maybe, we had 130 -ish people at our wedding and found glasses weren’t being cleared quickly enough from the areas outside of the bar. Could have done with one or two more people. 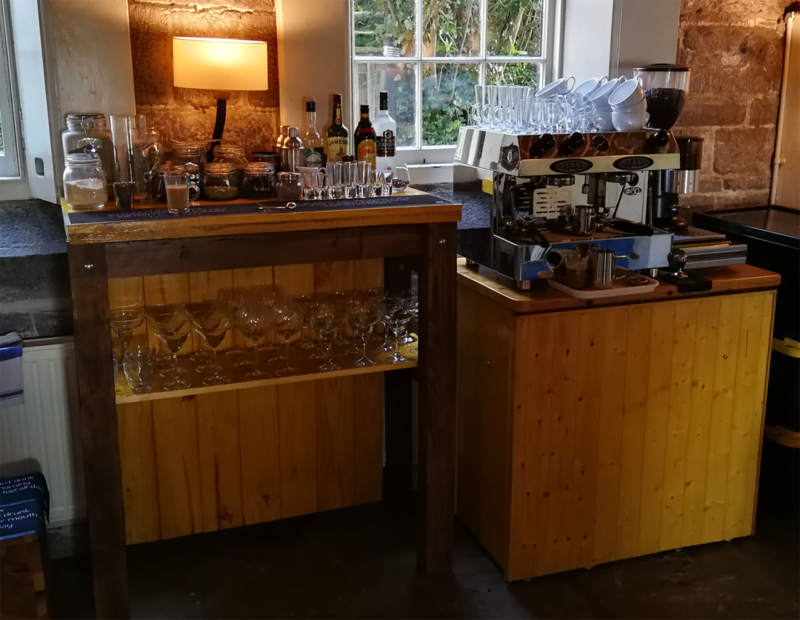 Just wanted to say a huge thank you for the coffee bar you provided at our wedding last week. 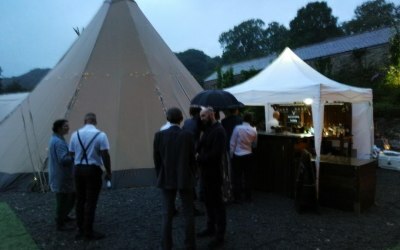 It really was a hit, and the drinks were delicious, and worth the wait (I could see it was popular with the queue size!). 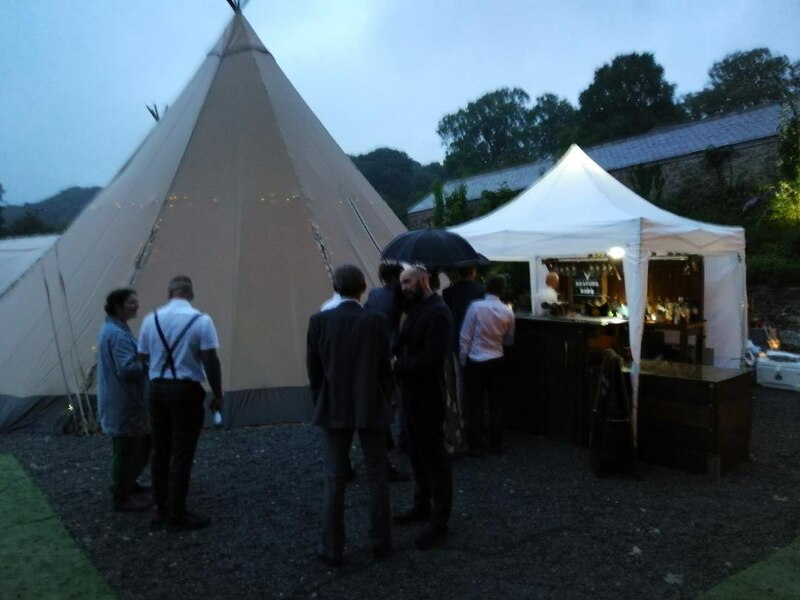 So many of our guests commented on what a great idea it was and how much they enjoyed the espresso martinis among other things. It certainly livened up the dance floor later - everyone had bundles of energy!! Thank you very much for your kind words Roz. 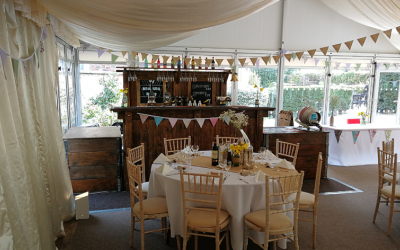 It was a pleasure to be part of your special day. We used this company for our wedding a few days ago! 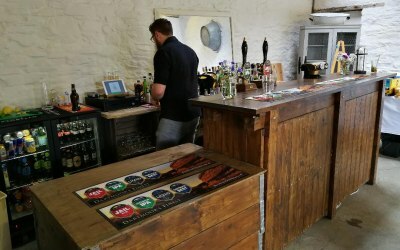 The bar looked amazing and the staff were friendly. 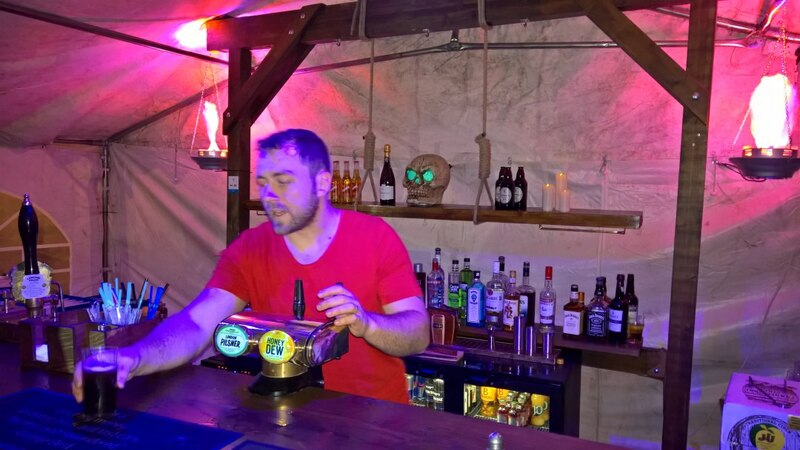 The bar prices were great too would definitely recommended. Thank you for the review Vicky. It was a pleasure to be part of your special day. 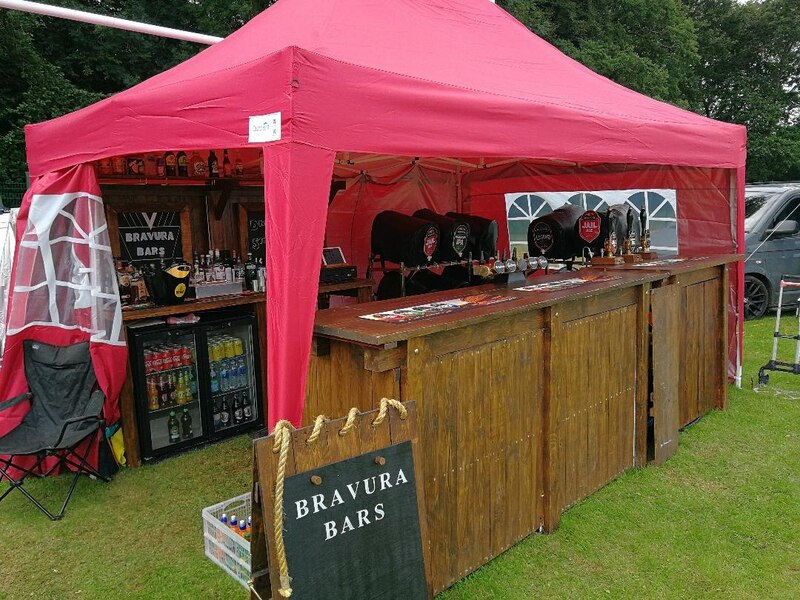 Get quotes from Bravura Bars and others within hours.